Yes, it’s that time of year again! 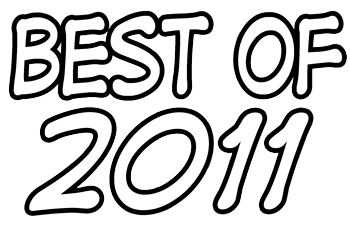 All of the year end “Best of 2011” lists are in full swing. Love them or hate them – they will be around until the new year comes. The “best of” lists I’m interested in are the ones related to music, and NPR always puts out a great list of the best music from the past year. First of all, if you haven’t heard the All Songs Considered “The Year in Music, 2011” show, do yourself a favor and go listen to it now. In this show you will hear Bob, Robin, Ann, and Stephen lay out their favorite albums, songs, and new discoveries from 2011. They play clips from all of their choices and discuss some of the music trends from the past year. Or, if you want to skip straight to NPR’s: 50 Favorite Ablums of 2011, you can check those out here complete with listening excerpts and a printable version of the entire list (we’ll come back to that printable list). What if Classical music is more your taste? Well, NPR’s Deceptive Cadence has you covered with their 10 Favorite Classical Albums of 2011. From towering voices to the smallest flicker of a violin bow, these recordings will give you hours upon hours of great listening. If you find yourself asking “Where is MY favorite album on these lists?” you can go vote for your favorite music here. The voting is open until December 13. Once voting is closed, it will be compiled into the listener’s top 100 picks. Back to the printable list (I told you we were coming back to it). If you have a music lover to shop for this season, please consider this a good starting point for what to buy them. If YOU are a music lover, please consider printing this out as your Christmas List. There is so much good music on that list; you are bound to find some new music to listen to, or an artist you’ve never heard before. Now, if only there were an iTunes playlist curated by NPR that had all this music, I would be good to go! I hope these lists help you discover new music from 2011. COMMENTERS: What is your favorite music from 2011?